Music lovers will be delighted with this news! International jazz festival in Barcelona has started. It will last till the end of December. Various musicians will be part of this great event in Barcelona this year. 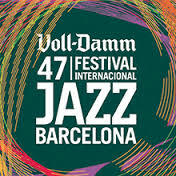 2016 Barcelona Jazz Festival has been held in different venues. This international jazz festival in Barcelona is held every year with successful performers. Concerts will be held in places such as Harlem Jazz Club, La Font Magica de Montjuic and Barts. The programme is available at http://www.jazz.barcelona/en/upcoming-concerts.. You can choose any event which is available your schedule. Some performs are available only in Spanish and Catalan. So don't forget to check the language option. You can get the tickets for Barcelona Jazz Festival 2016 at http://www.jazz.barcelona/en/tickets. If you are a real jazz lover then you can't miss this event in Barcelona. For more 2016 Barcelona events please check the events page at site. Don't forget the check the events when you are in Barcelona city. Barcelona city guide will be searching more events for you. Enjoy the music!